Andy Robertson is wary of Manchester United, but said Liverpool's rivals should also be cautious of his team ahead of Sunday's blockbuster clash. Jurgen Klopp's men make the trip to Old Trafford looking to return to the summit of the Premier League, which is topped by Manchester City on goal difference. United have found form under caretaker manager Ole Gunnar Solskjaer, rising into fourth in the table on the back of a nine-match unbeaten run in the league. Robertson knows the challenge awaiting his team against United, but said Liverpool had stars of their own capable of causing problems. "It's a big game against Manchester United, it's always big against them. It's a game in hand as well and we look forward to that," the left-back said after Liverpool's 0-0 Champions League draw with Bayern Munich on Tuesday. "It's a huge game and they're a different team playing some really good football, I think we need to be wary of them but they know what they're coming up against and they need to be wary of us. It'll be a good game and one we can hopefully come out on top of. "You look at their teamsheet or squad list and it's full of stars. They came to the party and they have a fantastic team. They've got people back from injury as well which always helps and they've got a strong squad as well. "We know what we're coming up against and we need to stop their danger men but hopefully we've got enough to cause them problems as well to get the result that we need." Liverpool were unable to find a breakthrough in the first leg of their last-16 tie against Bayern. 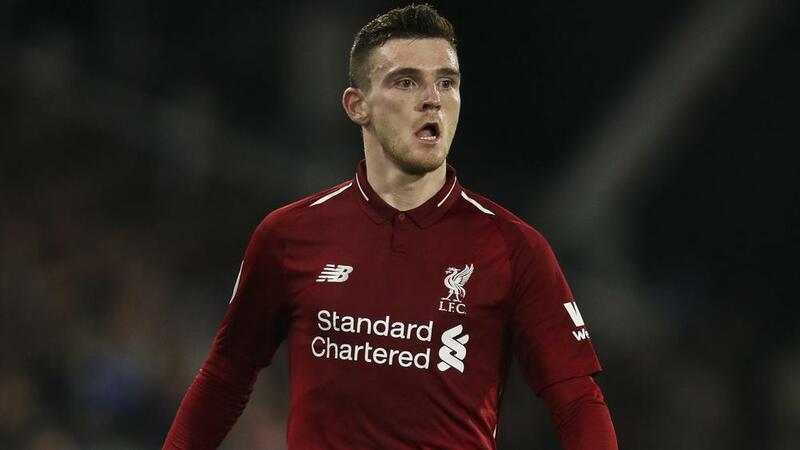 Robertson accepted his team did not deserve victory at Anfield, lamenting their struggles in the attacking third. "A draw is a fair result and the tie is still alive," he said. "On another day the lads in front of goal put it away or we make better decisions so you can't really put it down to anything. Maybe it's just somebody has rushed the shot or I or Trent [Alexander-Arnold] have rushed the cross or whatever. "These things happen, especially in big games, so it's about trying to have a wee bit of composure and that's probably what we lacked in the first half. "We had the chances to create and then in the second half we were probably better on the ball without really creating anything."